IBM's blockchain-based electronic supply chain ledger for tracking food from farm to shelf is now commercially available and is being piloted by some of the largest global retailers and suppliers. IBM today announced the commercial availability of a blockchain-based electronic distributed ledger that can track and trace food supply chain data from farm to store self. 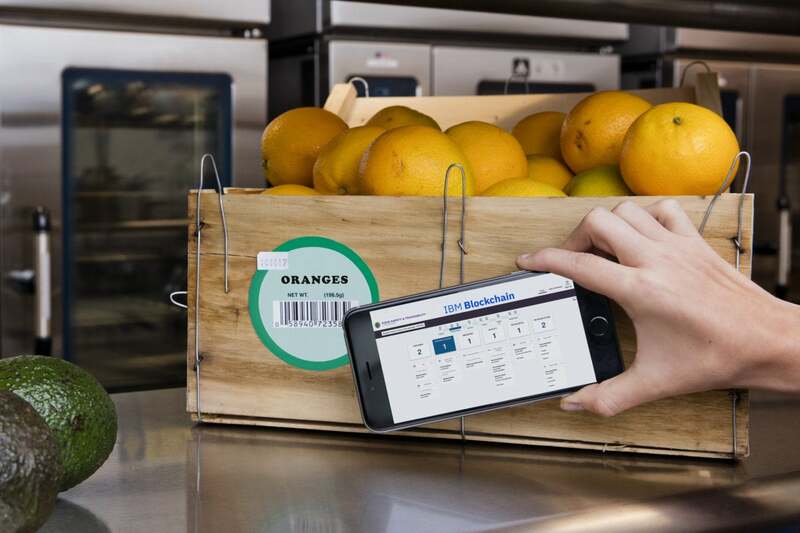 In development over the past 18 months, IBM's Food Trust ledger will allow food retailers, suppliers and growers to see supply chain data in near real time, enabling a more transparent and efficient method of determining the origin and safety of produce. Along with announcing the availability of its Food Trust tracking network, IBM said several food retailers and suppliers have joined those piloting the blockchain technology, which is based on the Hyperledger Fabric open-standards protocol. Those retailers include Topco Associates LLC, representing 15,000 stores; retailer-owned cooperative Wakefern, representing 50 member companies and 344 stores; and other suppliers including Beefchain, Dennick Fruit Source and Smithfield. French global superstore Carrefour also announced it will use the IBM Food Trust to strengthen its own food supply chain tracking system. With more than 12,000 locations in 33 countries, Carrefour stores will initially use the blockchain ledger to "increase consumer confidence" in a number of Carrefour-branded products, the company said. It expects to expand the use of the ledger to all Carrefour brands worldwide by 2022. "Being a founding member of the IBM Food Trust platform is a great opportunity for Carrefour to strongly accelerate and widen the integration of blockchain technology to our products in order to provide our clients with safe and undoubted traceability," Laurent Vallée, general secretary of Carrefour, said in a statement. An early adopter of blockchain technology, Walmart recently announced it will begin requiring its leafy green suppliers to enter their data into the IBM Food Trust. Walmart has worked with IBM to advance the business case and technology requirements for enhanced food traceability since 2016. Earlier this year, Walmart completed two pilots of the distributed ledger technology using suppliers of mangoes and pork; after a proof-of-concept, the food-tracking blockchain network is now in use. As of this week, Walmart already has 25 products (or SKUs) from 10 supplier companies on the permissioned blockchain. The products range from poultry and berries to yogurt. Walmart's pilots have shown the amount of time it takes for the company to trace a food item from store to farm was cut from seven days to just 2.2 seconds. Being able to trace the origins of food will help Walmart be more proactive in tracking down food-borne illnesses when they occur to prevent the spread of tainted produce, perform a root analysis of what went wrong, and ensure safety checks are being done along the supply chain, according to Frank Yiannas, Walmart's vice president in charge of food safety. Yiannas had been a blockchain skeptic before researching the technology and then embracing it. The problem Yiannas wants to solve is how to track the origin of every piece of fruit, meat or vegetable sold by a worldwide retailer of food with 12,000 stores – and tens of thousands of suppliers. "What we're trying to do is create the equivalence of FedEx tracking for food; that at each point in the farm-to-food continuum when there's a traceability event that occurs – a pass off – the information about that product is recorded in the blockchain network," Yiannas said. 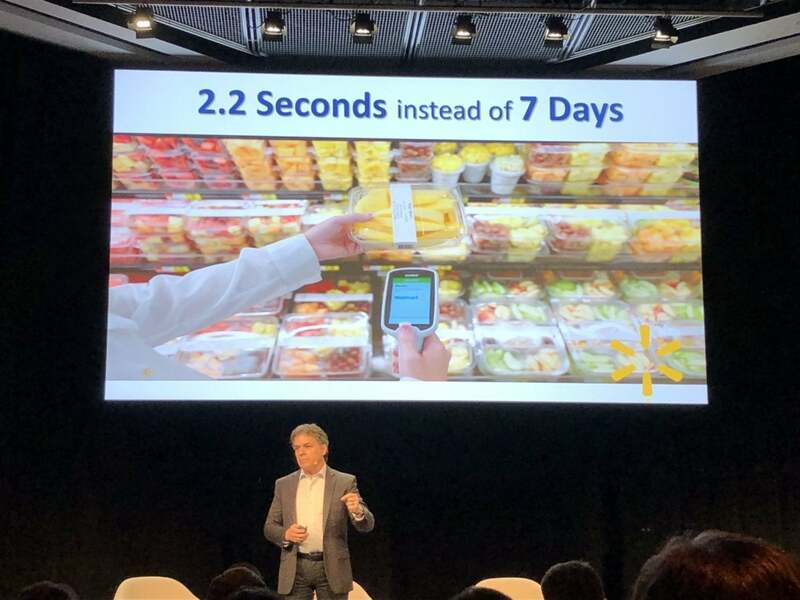 Frank Yiannas, Walmart's vice president in charge of food safety, explains how blockchain cut the time to track the origin of a package of mangoes from a week to 2.2 seconds. Suppliers and their manufacturer customers have performance scorecards that are compared against service-level contracts that enable those in an ecosystem to see how they've fulfilled and paid for orders over time. The formats for those scorecards, however, vary greatly, according to IDC research director Simon Ellis. The ability to use blockchain and a commerce network to identify a single version of performance "truth" would not only save time and effort but standardize how supply chain participants rate each other. "One thing you find happening with distressing frequency in the supply chain is somebody needs to buy something and they go outside of the normal contract. They buy it from someone they're not supposed to buy it from," Ellis said. "That creates problems because you then don't meet your contracted volumes with your contracted vendor." Because blockchain creates an immutable, transparent ledger that can be seen by all authorized participants, any deviation from an SLA is readily apparent, Ellis explained. "So, the potential for using blockchain...is potentially game changing," he said. "Now, I say 'potentially' because there are lots of things people say will be game changing that ultimately wind up being somewhat less than game changing. But it has at least the potential to really improve the way companies interact from a service level agreement perspective." While Food Trust may be its first live commercial implementation, it's not IBM's first blockchain effort. 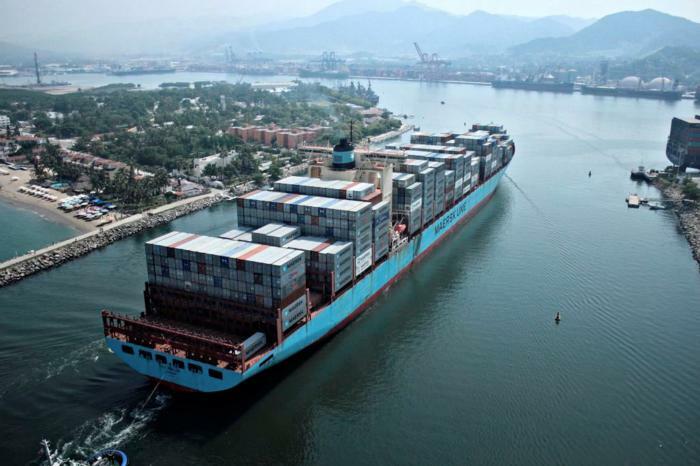 After launching a proof of concept earlier this year, IBM and Maersk unveiled TradeLens, an electronic ledger for tracking global shipments; the companies say they have 94 participants piloting the system, including more than 20 port and terminal operators. The jointly developed electronic shipping ledger records details of cargo shipments as they leave their origin, arrive in ports, are shipped overseas and eventually received. IBM first began working with blockchain technology in 2014 through IBM Research. The IBM Blockchain business unit was formed in January 2017, and its Food Trust blockchain cloud service was introduced in August 2017. 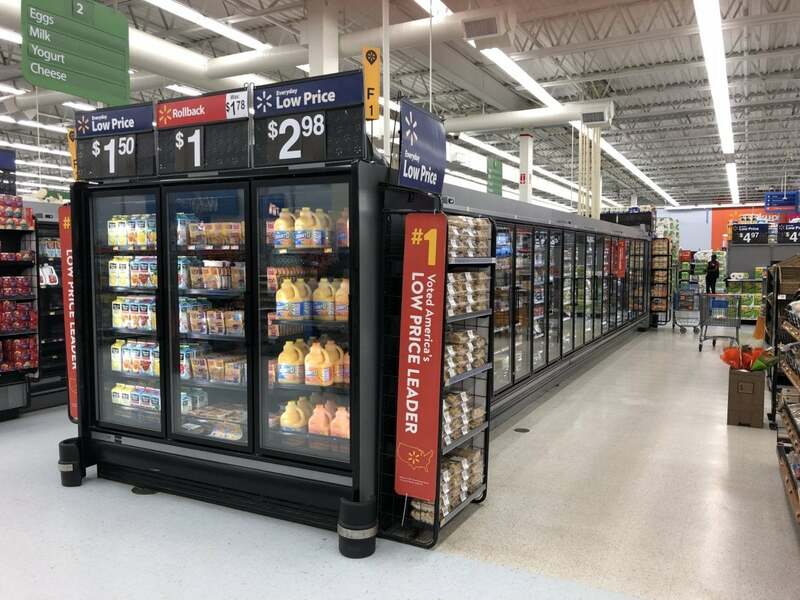 At the time of its launch, a consortium of retailers and suppliers signed on to test the platform, including Walmart, along with Dole, Driscoll's, Golden State Foods, Kroger, McCormick and Company, McLane Company, Nestlé, Tyson Foods, and Unilever. IDC's Ellis said he's not aware of any blockchain services as large or widely tested as IBM's. Still, it's early for blockchain-based supply chains and without buy-in from suppliers and retailers, it could collapse "like a house of cards." "Most of the work is in a pilot or skunkworks level," Ellis said. "I'm not aware of anything as big as IBM's yet, but I think 'as big' as also requires some reference as well because it's still early days for IBM – even though they've named folks like Carrefour and Walmart. They still have to get a bunch of growers signed on. "It certainly is the most interesting of these kinds of initiatives I've heard of and, as far as I know, it's the earliest to come to market," said Ellis, formerly a supply chain futurist who worked for Unilever. SAP and Oracle are the other two largest supply chain software vendors now piloting blockchain services, Ellis said. SAP has created a consortium of business partners to help it craft applications for its cloud-based blockchain platform that can track goods from creation to shipment to manufacturer as part of an automated supply chain system. The software giant is piloting its SAP Cloud Platform Blockchain with 16 farm-to-consumer produce suppliers such as Maple Leaf Foods, Johnsonville, Naturipe Farms, Tate & Lyle and Natura. SAP's blockchain-as-a-service (BaaS) provides an abstraction layer that supports open standards, offers built-in integration with SAP applications. IBM is one of more than a half dozen technology vendors to offer blockchain as a service to enterprises. Along with SAP and Oracle, Amazon, Microsoft, Salesforce and VMware are also part of a growing ecosystem of blockchain service providers. The blockchain-as-a-service marketplace is expected to reach $7 billion, according to Bank of America research analyst Kash Rangan. As enterprises look to deploy distributed ledgers, the industry's largest IT providers have launched BaaS efforts as a way to test the technology without the cost or risk of deploying it in-house and without needing to find in-house developers, which are in hot demand. IBM is currently offering three Food Trust SaaS modules with pricing that is scaled for small, medium and global enterprises beginning at $100 per month. Suppliers can contribute data to the network at no cost, IBM said. Trace - The trace module allows members of a food ecosystem to more securely trace products in seconds to help mitigate cross-contamination, help reduce spread of food-borne illness and reduce unnecessary waste - a process that often takes weeks using other methods. Certifications - The certifications module helps verify the provenance of digitized certificates, such as organic or fair trade. It also enables participants across the ecosystem to easily load, manage and share food certifications, digitally speeding up certificate management by up to 30%. Data entry and access - The data entry and access module allows members to securely upload, access and manage data on the blockchain. For example, Dole is working with Centricity, to connect audit data to the blockchain by leveraging the Trellis framework. "By simplifying on-farm and front-office reporting and putting data on the blockchain, IBM Food Trust has helped Dole unlock the value of compliance data across our suppliers and partners in a cost-effective way," Natalie Dyenson, Dole's vice president of food safety and quality, said in a statement.